This update's going to be yet another ONLINE ONLY update. Also have the option back to extra clean shave anywhere on his face to recreate this look. 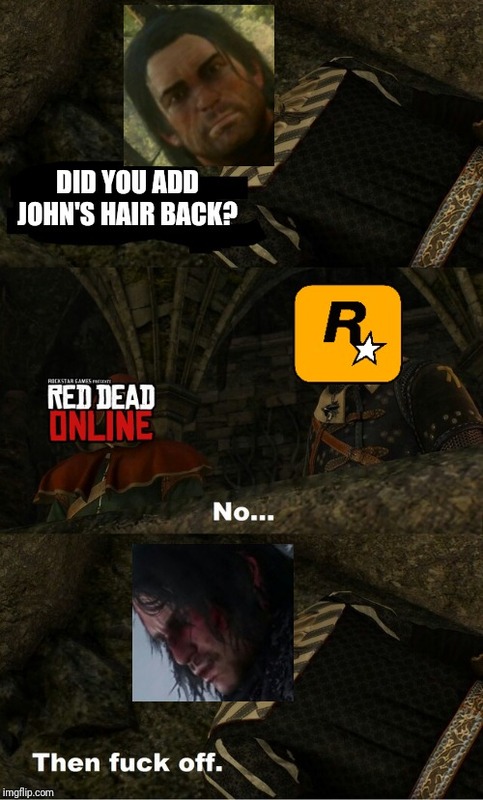 If Rockstar left his greasy hair in as a reward for not bathing for a week It wouldn't be so bad..... but I don't have much hope. 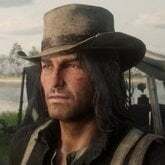 If they add it as a hairstyle for Red Dead Online but not the Epilogue, I swear to God ill curse whoever made that choice. FunMW2 said if they don't announce anything 2-4 months after launch, nothing is happening. This is the 4th month. Such a shame honestly. I'd put this story against the best movies I've seen or the best books I've read. A damn shame to not capitalize on such great potential. 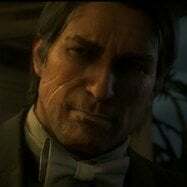 Oh but they ARE capitalising..... Meet your favourite story characters in Red Dead Online! lol. I bet they'll add the exclusive gang horses to the ridiculous amount of purchasable horses in Red Dead Online as well as they're outfits soon. Coincidentally, the update launches EXACTLY 4 months after release of RDR2. Great photoshop! Best I've seen. Rockstar claim they are "excited" about the future of Red Dead Online and will share more information about what else is included in the update shortly before release. Let us pray, hope and wish it at least includes John's hair for the epilogue. 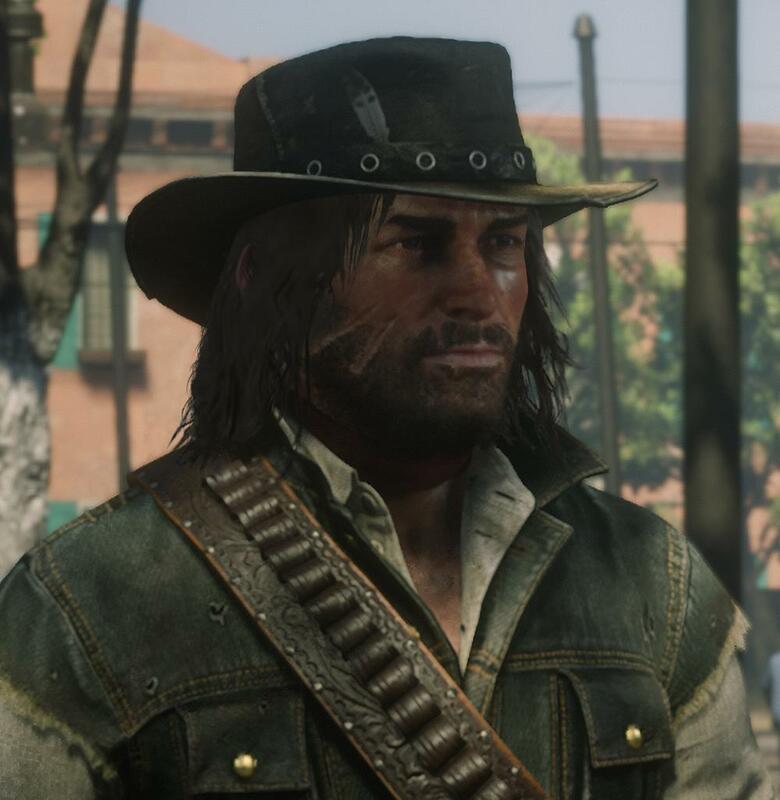 Otherwise, I'll start a John Marston hair support group topic lol.